Missing endangered adult Christmas Angel Phoenix was last seen in the area of Greenfield/University in Mesa on 3/28/2016 at 1800 hrs. on foot. She was last seen wearing a green zip up sweater, blue jeans, white Nike tennis shoes and carrying a backpack. She has short hair as pictured and may be wearing a black scarf covering her head. Christmas has an undiagnosed mental illness that causes her to be delusional and paranoid. 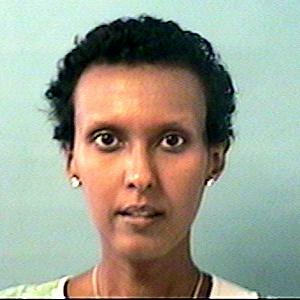 She has legally changed her name, previous name of Sado Mohamoud. Her family is very concerned for her welfare, she has never been reported missing and has no access to money or a vehicle. Anyone having information regarding this case is asked to contact the Mesa Police Department at 480-644-2211/24 hrs. or Investigator L. Colon at 480-644-2014 or 480-720-9244.